When will be Little Rascals next episode air date? Is Little Rascals renewed or cancelled? Where to countdown Little Rascals air dates? Is Little Rascals worth watching? 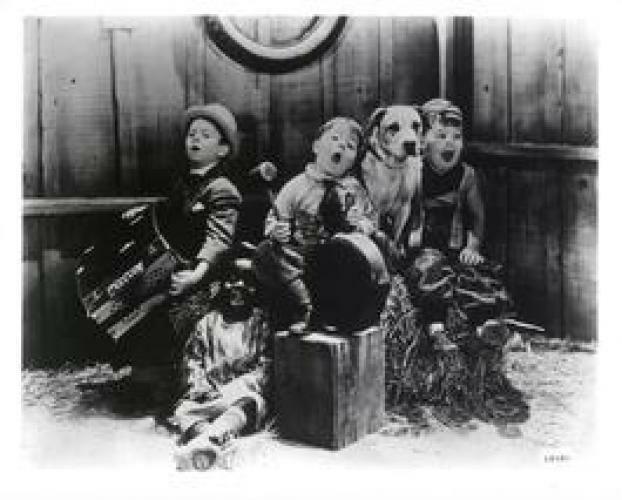 For over 20 years Hal Roach, Sr. created film shorts starring a slew of everyday kids in everyday situations. Though the names changed over the years, the fun never did. From the silent era with Mickey Daniels and Mary Kornman, to the talkies with such actors as George "Spanky" MacFarlane, Carl "Alfalfa" Switzer, Stymie Beard and Jackie Cooper, Hal's gang kept people laughing for generation after generation. Although a number of the kids had troubles in their adult lives, the children can still bring smiles to viewers faces today. EpisoDate.com is your TV show guide to Countdown Little Rascals Episode Air Dates and to stay in touch with Little Rascals next episode Air Date and your others favorite TV Shows. Add the shows you like to a "Watchlist" and let the site take it from there.